In the spirit of the Holiday Season, this week we’re not waiting for Friday to shake things up! Instead, we’re bringing you this fun and fruity Pear Fizz Cocktail, just in time for Christmas Eve. 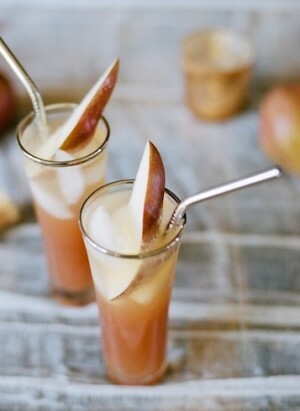 Combine pear juice and pear-flavoured liqueur in a pitcher. Stir together and chill in refrigerator until cold. Fill champagne glass 2/3 of the way with pear mixture, and then fill glass to top with sparking wine. Optional: Garnish each glass with thinly sliced pear wedges, pomegranate seeds, or a sprig of fresh rosemary. It’s Friday night and we need a cocktail! Time to shake up your weekend with this week’s Paracombe Premium Perry Pear Vanilla Cocktail – delicious made with our Bosc pears! Process ice into a shaved-ice texture using a mixer/food processor. Use a pear slice to moisten glass rim and pour sanding sugar and freshly grated nutmeg onto a plate. Press the moistened rim into the sugar to coat it. Add the shaved ice to the glass. Pour vodkas (and/or pear juice) and club soda to fill. Slice Bosc pear rounds and position in glass and stir. It’s Friday! Time to shake up your weekend with this week’s Paracombe Premium Perry Pear & Cranberry Bellini – delicious made with our pear juice! These pretty drinks pair well at holiday gatherings with great friends and a stocking full of good cheer! In a small pitcher or large liquid measuring cup, combine pear nectar and cranberry juice cocktail. 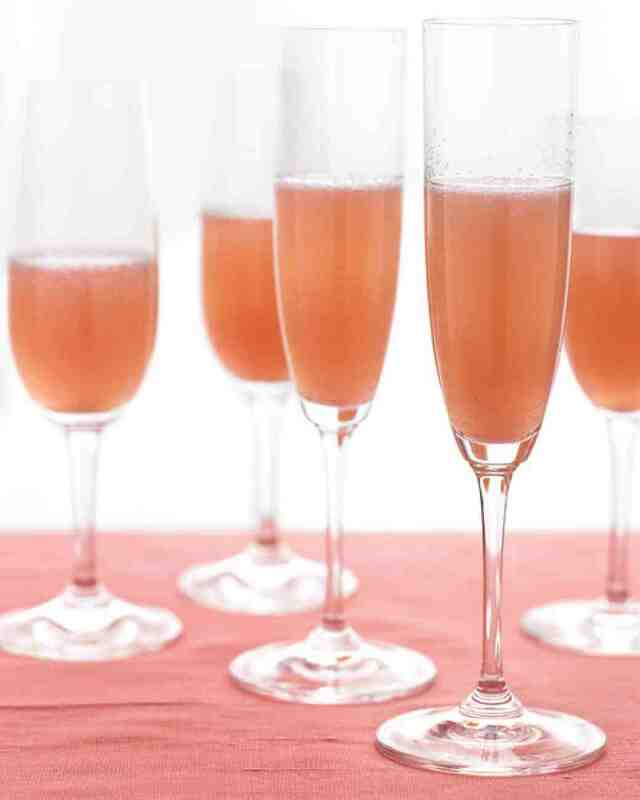 Pour ¼ cup juice mixture into each of the eight champagne glasses. Divided evenly, top with Prosecco or a dry sparkling white wine of your choice. It’s the weekend and we’re ready for a cocktail! How about you? 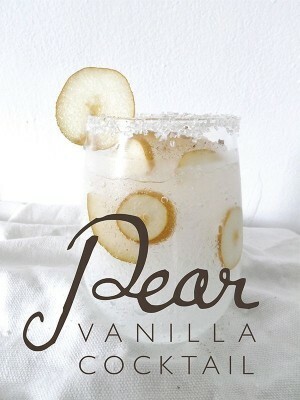 Shake up your weekend with this week’s Paracombe Premium Perry Vanilla Pear Cocktail – delicious made with our pear juice and fresh pears! 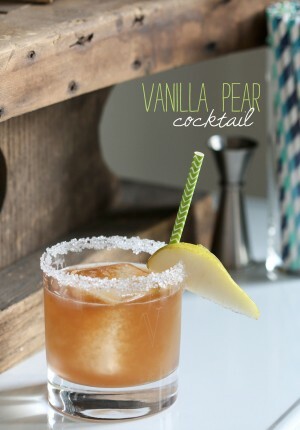 In a cocktail shaker, mix together the pear juice, vodka, and vanilla bean paste – and shake! Pour the cocktail into a glass with ice and a sugared rim. Garnish with a Paracombe pear slice. – it’s delicious made with our pear juice! Pour the pear juice, rum, grenadine and lemon juice into a cocktail shaker with ice. Shake until the outside of the vessel is ice cold. Pour entire contents of shaker into a highball glass. 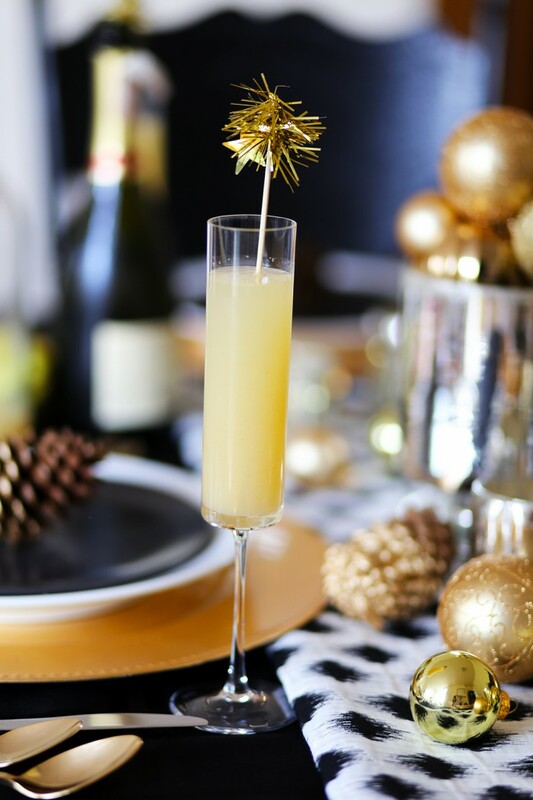 Gently pour (or float) prosecco into the glass and garnish with a Paracombe pear slice. 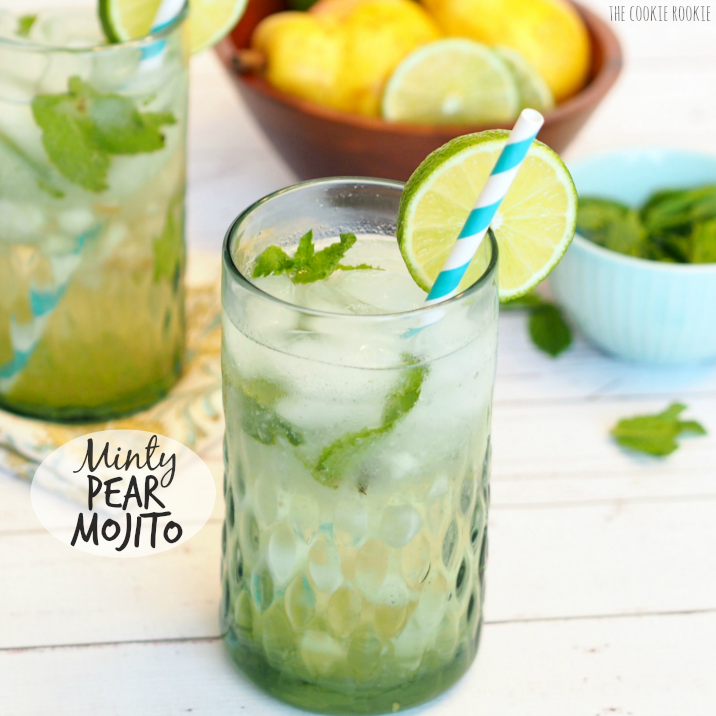 Summer’s on the way, so every Friday on the Paracombe Premium Perry blog we’ll be bringing you a pear or Perry cocktail to shake up your weekend, like this Minty Pear Mojito – it’s delicious made with our Packham Pears. Place the chopped pears, mint leaves, agave nectar, and lime juice in the bottom of your pitcher (you can also make this in individual glasses. This recipe is for four glasses, so just quarter the recipe for one glass) and muddle the ingredients to combine the flavors. Pour in liquor and club soda and stir slowly to combine. Pour over ice and serve! Top with more fresh mint or lime wedges. We hope you are enjoying our updated website many an hour was spent on our beautiful new branding, along with the website upgrade we thought it was time to let some light in on the amazing world of Perry and our little company that keeps going from strength to strength. We hope you like our new blog and find the food matching, recipes and other Perry related chats informative and enjoyable to read. Paracombe Premium Perry was started one year ago when fourth generation pear orchardist Damian McArdle thought it was time to put some of his orchards high quality fruit to a more varied use whilst the pears were great to eat why not make something to drink as well. 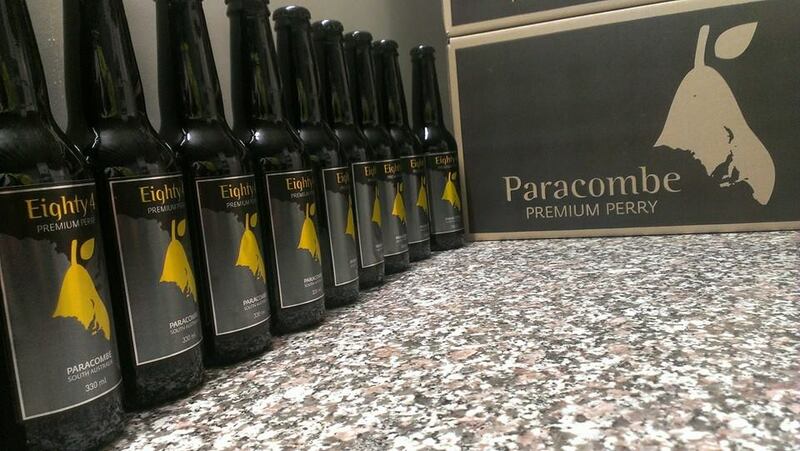 The experimentation began, plans were made and now one year after the first release Paracombe Premium has become the finest Perry producer in South Australia. The first rule in all of our production is always respect the fruit. Many so called ‘Pear Cider’ or Perry producers in Australia are forgetting that exact rule, brewed sugar water with 30% + – fruit concentrate is not anything close to respect. All of our Perrys are 100% pear, grown on our orchid and pressed in our basket press on our premises. Our quality starts at the tree and ends in the bottle we do it all. ALWAYS RESPECT THE FRUIT! Shown above is a limited release product in the range, 84 is a Dry style Perry made from 5 different pears grown in our orchard. There are only 40 cartons produced at the start of our producing season so get in early or risk having to wait another year to get some. We must suggest pouring yourself a long glass of 84 on ice. Then serve with a room temperature double or triple brie. Not a bad way to spend a weekend afternoon. The creaminess of the brie is a fantastic offset for the dry well balanced 84. Check our online store for availability and get your order in whilst you can. Till next time drink up!